If you’ve the remotest interest in wine, then the chances are that you’ll have sampled some of what New Zealand has to offer. Head down to any supermarket and you’ll find offerings from this island nation stacked alongside those from Spain, France, and Italy. But while most of us can distinguish a Rioja from a Burgundy, British knowledge of New Zealand’s wine-producing regions is often found wanting. It’s easy to see how New Zealand has become so well-respected amongst wine-connoisseurs. It boasts all the natural conditions necessary to produce great wine. The temperature is generally cool, and the rainfall is sporadic, with long dry spells during autumn. Most production takes place in alluvial valleys, where the mineral content of the soil provides the grapes with the raw materials they need to ripen agreeably. Add to this the developed infrastructure, and you’ve a recipe for a wine-producing powerhouse. But the biggest strength of New Zealand’s wine is undoubtedly its sheer variety. A New Zealand white wine produced in one part of the country might differ considerably from one produced elsewhere. Let’s attempt to demystify things by examining the country’s various regions, and seeing just what distinguishes them from one another. It seems sensible to begin our list with what is undoubtedly the country’s best-recognised wine region. You’ll find the region on the north end of the South Island, terminating with the legendary Marlborough Sounds. This area of the country first emerged on to the international stage in the 1980s, and now two-thirds of the nation’s output is grown in this region. If you’ve sampled a New Zealand Sauvignon Blanc, then the chances are that you’ll have sampled one grown here. 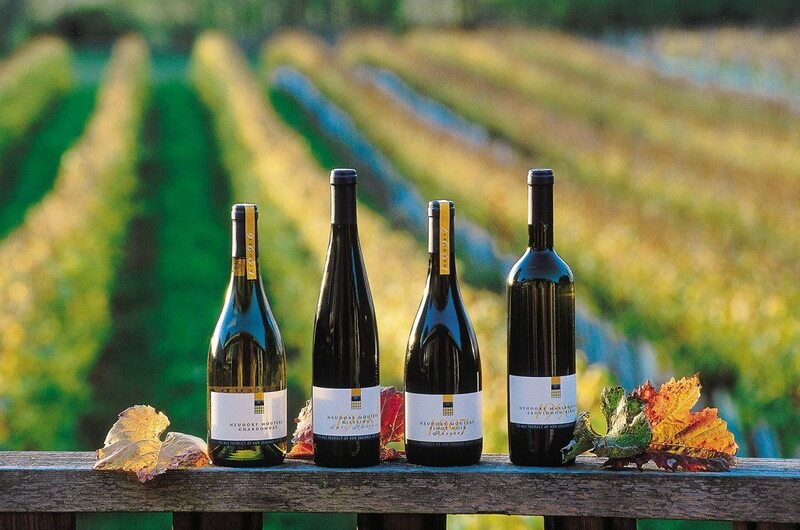 The area is packed with New Zealand vineyards, crafting everything from aromatic Pinot Noirs to intense Chardonnays. There are obvious geographical reasons behind the area’s success; it’s sunny and dry almost year-round, with the Wairu Valley being singled out for particular dryness by the Maori, who term it the ‘place with the hole in the cloud’. On the other side of the Marlborough Sounds you’ll find Nelson, a picturesque little corner of the countryside sitting on the banks of Tasman Bay. Its output is far smaller than that of its neighbour, but it more than compensates with quality – and thus it’s widely-considered a ‘boutique’ region. There are plenty of fantastic Sauvignon Blancs and Pinot Noirs to be found here, thanks to a combination of excellent drainage and abundant sunshine. The mountains to the west provide excellent shelter from the rain, while the soil is composed largely of clay loams over a hard clay subsoil. Being among the smaller regions in the country, a well-planned New Zealand wine tour will be able to cram all of the area’s vineyards into a single action-packed day – and you can sample some of the local cuisine while you’re at it. 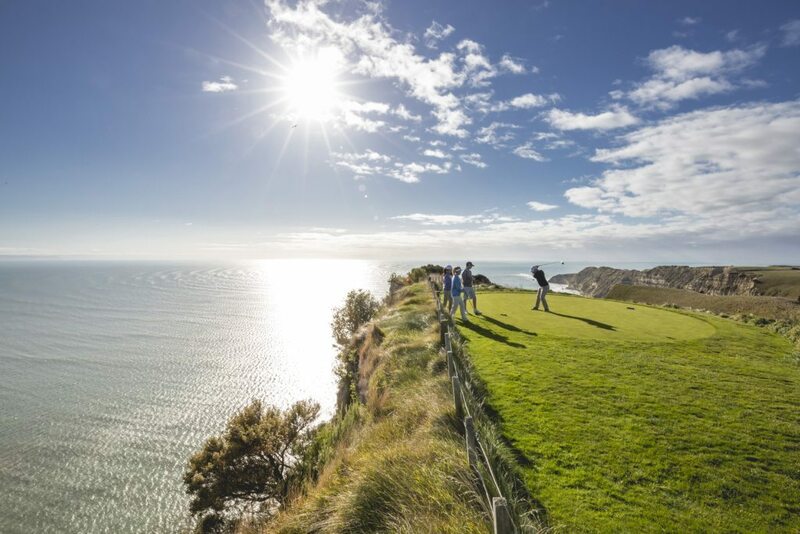 On the east coast of the North Island we find Hawke’s Bay, which offers a temperate climate and abundant sunshine throughout the year. The area enjoys a fantastic reputation for high-quality blends of Cabernet and Merlot, thanks to the bay’s soil, which is fed by four rivers transporting diverse minerals from far and wide. It’s thanks to this unique geography that Hawke’s Bay is considered among the best New Zealand wine-growing regions. Wine was introduced into this part of the country in 1851 by Marist missionaries, and the region has gone from strength to strength ever since. Of particular note are the region’s dessert wines, which stand out thanks in part to the lengthy growing season. Slightly further up the coast we find Gisborne, which is among the sunnier parts of the country – and an area where New Zealand wine grapes flourish. The area receives more than two-thousand hours of sunshine annually, which allows for faster ripening and earlier harvests. Fine silt rivers provide the basis for a flourishing roster of aromatic wines. Chardonnay predominates here, with aromatics like Pinot Gris also abundant. Around the city you’ll find three distinct subregions, these being Ormond, Patutahi and Manutuke; the first of which is home to a gently-sloping escarpment responsible for some of this New Zealand wine region’s best Chardonnay. This region covers around seventy-five kilometres along the 45th parallel south, nestled between the Pacific Ocean and the Southern Alps. It’s home to the Waitaki river, which flows from the slopes of Mount Cook, the country’s highest peak. The shadow cast by the mountains provides shelter from the rain, and thus the region is dry for much of the year. A particular sort of limestone is spread throughout the area, which produces a distinctive sort of wine that discerning palates have no trouble recognising. 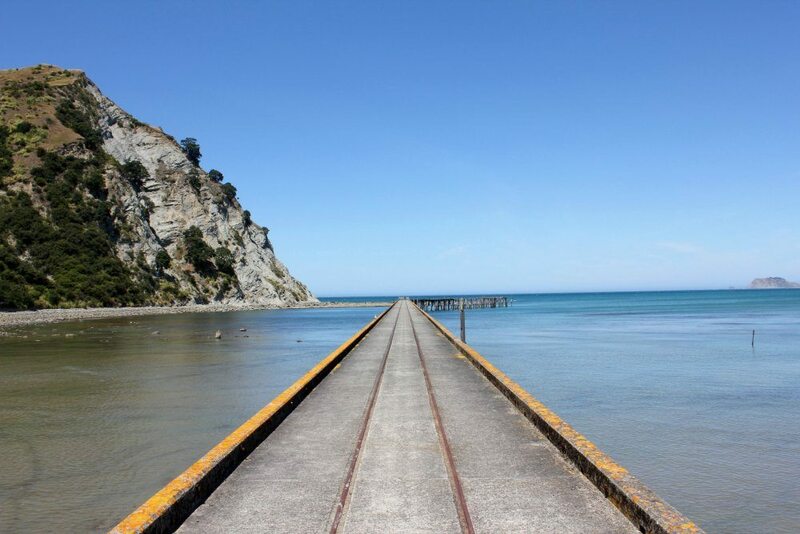 East of Wellington you’ll find the Wairarapa region, which takes its name from the Maori word for ‘glistening waters’. It’s home to some of the most diverse wine cellars in New Zealand, despite the fact that it contributes just one percent of the country’s total production. Summers here are long and hot, while autumns and springs are cool. This allows producers a longer growing season, and thus the scope to create the sort of complexity that keeps the world’s oenophiles coming back for more. You’ll find distinctive Pinot Noirs and Sauvignon Blancs in abundance. This section of coastline spans much of the northern coast of the North Island, and thus enjoys some of the warmest weather the country has to offer. The climate is temperate, with mild winters and humid summers, which provide an entirely different challenge to that posed to growers on the South Island. It’s for this reason that the region also boasts a stellar reputation for other sorts of fruit-growing, with Kiwi-fruits and apples being widespread. 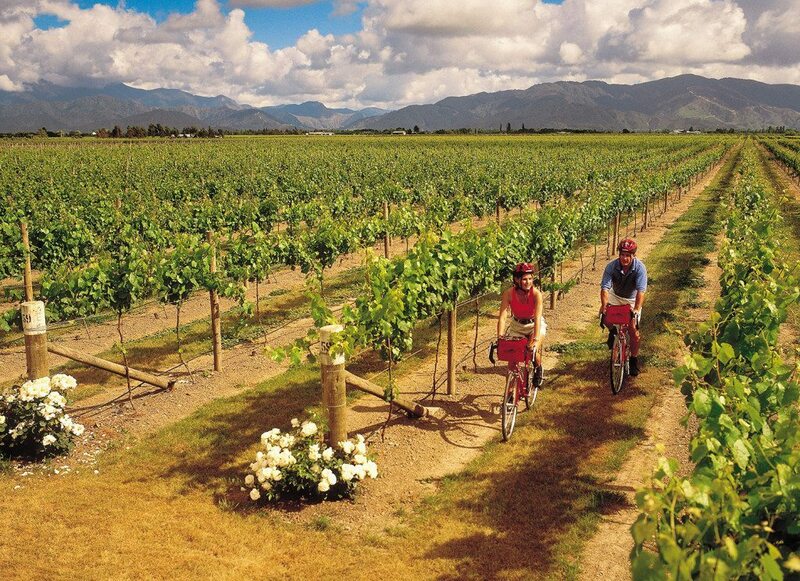 This wine region spreads across around two-hundred kilometres of coastline, on the eastern flank of the southern island, with Christchurch right in the centre. There are a number of interesting micro-climates here, including the Waipara Valley (not to be confused with the aforementioned Wairarapa). There’s a roughly equal split here between aromatics, Pinot Noir and Sauvignon Blanc here, with just a little bit of Chardonnay joining the party. The region’s Riesling is particularly memorable, having been steadily developed over the course of its long relationship with the region. Nestled into the Southern Alps, Central Otago will be the southernmost extent of an exhaustive New Zealand wine tour – and the highest, too. Growers based here must select their sites carefully and plan for occasional frost during winter. The dryness of the region provides a basis for incredible complexity, while the glacier-formed silt in the soil allows for rapid drainage. There are plenty of activities and sites to delight would-be wine-tourists, with Pinot Noir being the flagship variety in this neck of the woods. 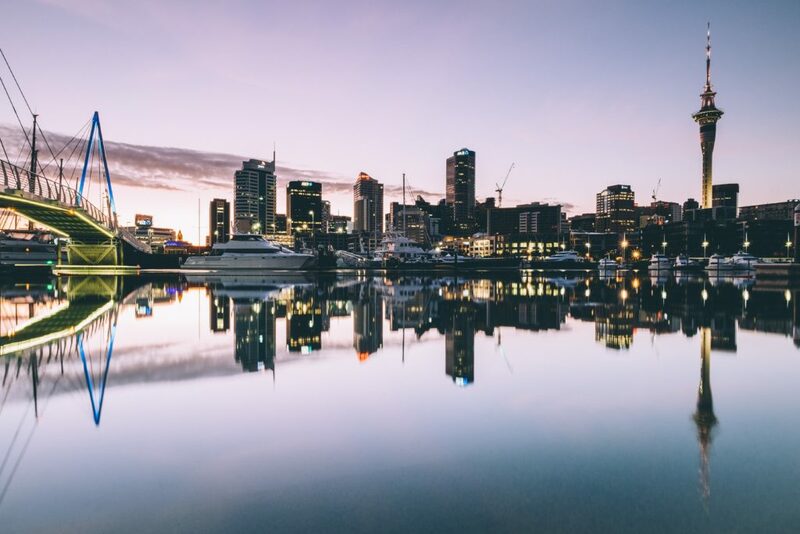 Near the country’s northernmost tip, you’ll find Auckland, where a century of winemaking tradition has yielded fantastic fruit. The region’s soils are packed with mineral-rich clay, while a temperate climate provides a diverse range of flavours spread across three distinct sub-regions. There’s Waiheke Island, where you’ll find stunning Syrah and Chardonnays. Growers here enjoy a dry maritime climate, which produces a fruit that’s deep and pure. Then there’s West Auckland, where you’ll find excellent Merlots and even more Chardonnay. The oldest wine-growing families in the country call this place home, after having settled here almost a hundred years ago. Finally, we have Matakana, a hill-strewn stretch just to the north of Auckland. Careful site-selection is necessary here, as the climate is a little on the humid side – but skilled producers are able to produce a range of Pinot Gris, Syrah and Cabernet blends. What more could a wine-lover ask for? Auckland doesn’t quite hold the honour of being the northernmost wine-growing region in New Zealand. That distinction falls instead to the imaginatively-named ‘Northland’, which sits right at the very tip. With the island tapering to a narrow point here, none of the producers are more than thirty miles from the coastline, which lends the region a subtropical climate. Vines were first laid here by a missionary named Samuel Marsden in 1819, and his work was taken up by Croation winemakers in the latter half of the 19th century. As such, there’s a longstanding European influence in convincing evidence. Grapes receive more heat during growing season than anywhere else in the country, and thus we find a distinctive character that binds each of Northland’s unique micro-regions. You’ll find tropical white-wine flavours here, with Chardonnays and Viogniers being widespread – and there are plenty of Pinotages and Chamourcin for fans of redder wines, too. The Waikato region is spread over the sprawling farmland to the south of Auckland, amongst which we find small vineyards sporadically scattered. Styles are focused around Pinot Noir, Gris and Sauvignon Blanc – in that order. The climate is moderately warm, with heavy loams permeating the soil over a layer of impermeable clay. If you really appreciate high-quality wine, and you’re visiting the country, then time spent on one of the many New Zealand wine tours is sure to be well spent. You’ll be able to spend as much or as little of your break as you like sampling New Zealand wine – and you’ll be able to enjoy it served alongside excellent cuisine and breath-taking scenery. If you’re looking to indulge in a New Zealand wine tour, then be sure to get in touch – we’ll be able to help realise the ambition in style. Cheers! This entry was posted in Highlights and tagged wine. Bookmark the permalink.